Babies as young as 6 months old can swim, and it’s more common than you think! 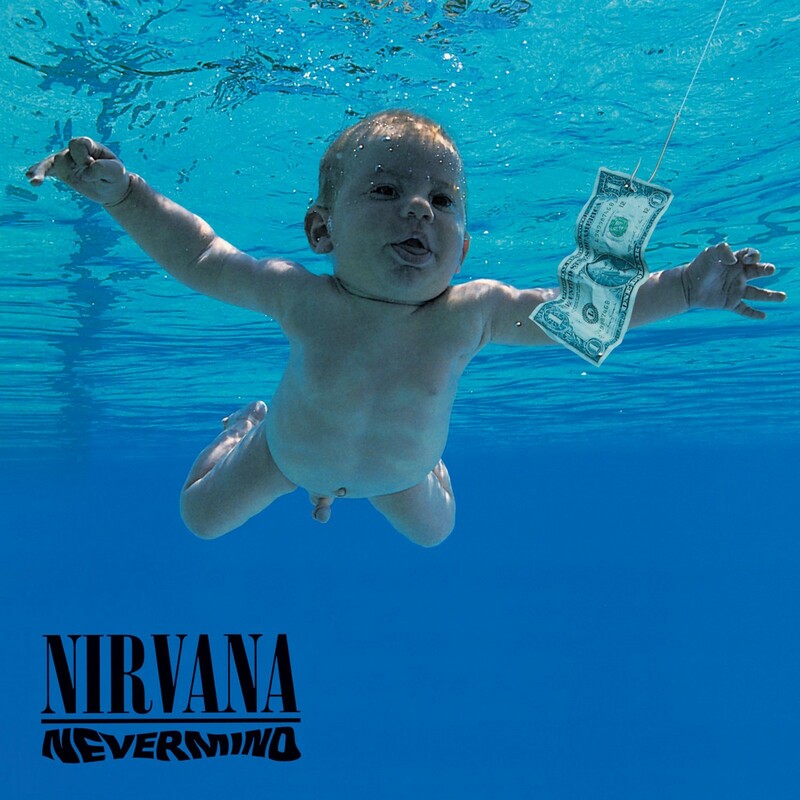 Remember Nirvana’s iconic album cover of the swimming baby? If you thought this was a Photoshop trick, prepare to be surprised! 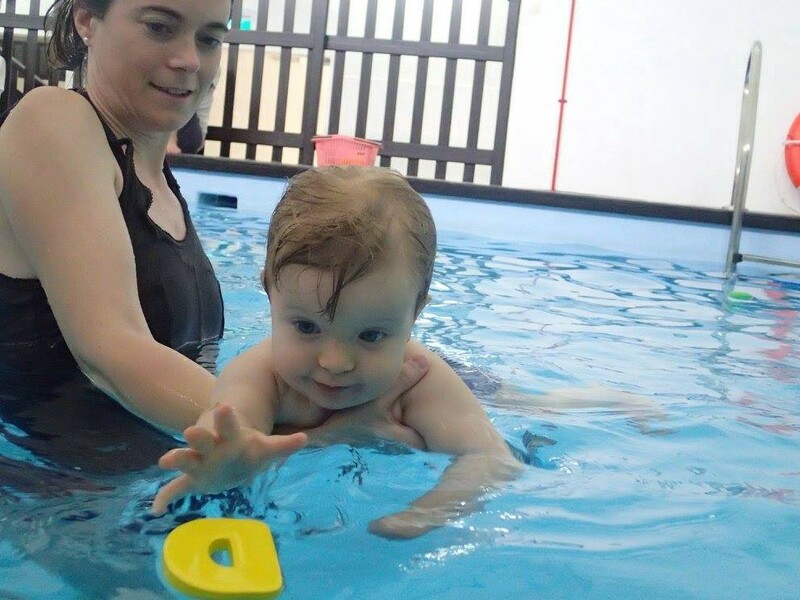 How would an infant swimming lesson go? For babies from 6–8 months of age, we start with a warm up. We get them used to the water first. 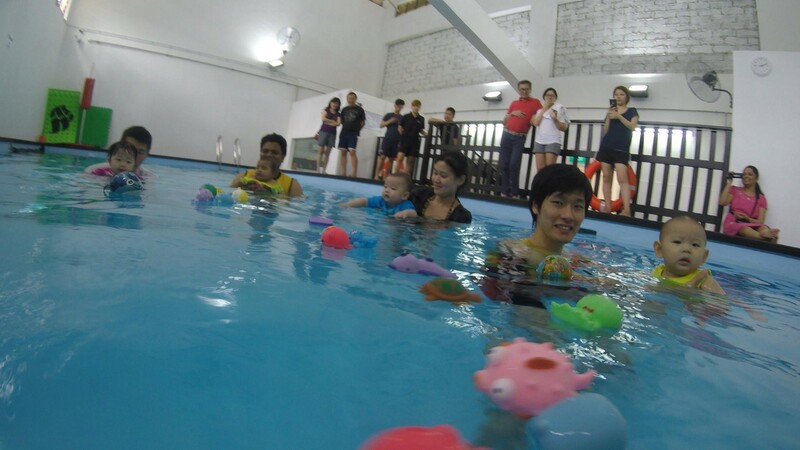 Then, we’ll do a lot of motor skills activities, like grabbing toys and moving around in the water. During these activities, we’ll sing a lot of nursery rhymes — we choose the nursery rhymes so that motor skills development is incorporated into the activity. Then we move on to submerging, only if the child is comfortable. We check whether the baby is okay by sprinkling water on them and seeing how they respond to it. We submerge them in a gentle way once they are very comfortable. How do you handle kids with fear of water? The one thing we try not to do is let the child leave the pool. We insist on them staying in the swimming pool for the whole class. We let them cry and let the parents soothe them while they’re still in the water. We do this because we don’t want them to form a bad habit. Children are very smart. Once they throw a tantrum and you bring them out to calm them down, that’ll be the end of it. They will throw a tantrum for every lesson after that. So, no matter how much they cry, we don’t bring them out until the end of the lesson. We normally get parents to sing the kids’ favourite songs to soothe them. We encourage a lot of cuddling and a lot of reassurance to build trust between parent and child. Do parents get anxious about submerging their babies? Actually most parents are okay with their children in the water. In fact, some parents really think that their children are fishes. They just submerge them non-stop — and then we have to slow them down. From our experience, only mothers or fathers who are scared of water are afraid to submerge their kids into the water. Parent’s anxiety always influences the child’s performance in the water. That’s why we always ask the parents if they have a phobia of water, and if they are comfortable in water. If they’re not comfortable, especially when the kids are ready to be submerged, we’ll take over. Kids are very sensitive to their parents’ emotions — so, even when children are personally confident in the water, they will be influenced by their parent’s fear. What are the benefits of infant swimming? Babies and toddlers cannot communicate very effectively. So, parents need to learn to understand their kids’ needs in the water, especially with babies, through body language. During this process, the bonding that occurs between parent and child during these lessons as they learn and play together, and the trust that is built between them is amazing. Swimming exercises large muscle groups in the arms and legs of the infant, building coordination in the process (gross motor skills). In addition, pool activities are designed for infants and toddlers so that they get the opportunity to grab and throw toys (fine motor skills) in the water. Eye-tracking is an infant’s ability to focus on objects and follow movement with their eyes. Movement of pool water and water droplets are naturally intriguing to babies. It captures their attention and helps them hone their eye coordination. How are infants different from older children in the pool? Babies are not as tough to teach as the older kids. Since the older kids get a late start on swimming, a lot of fear of water may have accumulated through the years. I have one student who passed through all the other instructors at Little Splashes and ended up with me. He cried for three entire terms (that’s about nine months), all the way from the parking lot and through the lesson. We suspected that he had a bad experience with water prior to coming to us. Now he’s fine and he’s able to swim independently! I tackled his problem with persistence. The key was to simply create a routine until the child knows that there is no way to run away from the challenge — that’s when he started to overcome his fear.